Hardy Jones is Cajun through his mother, and the Felice family is a blend of Native American, French, Spanish, Dutch, and Irish from the southwest Louisiana prairie. 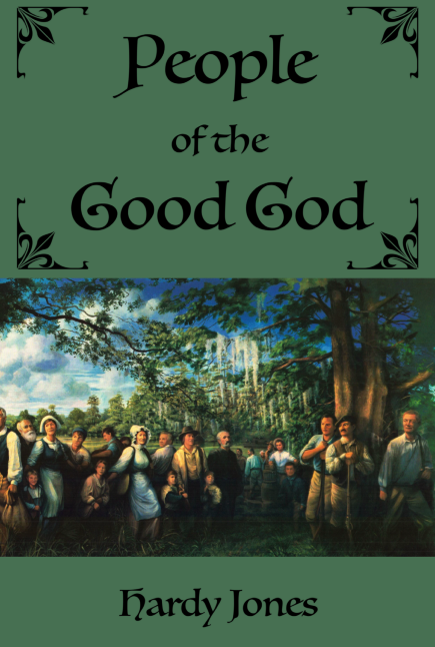 People of the Good God explores the search Hardy began in his twenties to understand Cajun identity and how the culture is evolving into the new millennium. These essays employ auto-ethnography, food writing, travel writing, and music writing to create a memoir that probes history, place, and self.